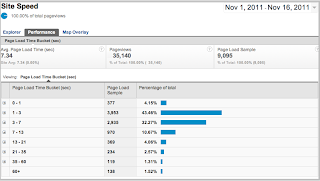 was launched a few months ago, but it required site owners to add an additional Google Analytics tracking code to see data in this report. Based on increasing user requests we are now making this feature available to all Google Analytics users and removing the requirement to modify your Google Analytics tracking code. As of today all Google Analytics accounts will automatically have the Site Speed report available with no extra work required from you. Want to check out Site Speed in your account? It’s easy. Go to the content section and click the Site Speed report. 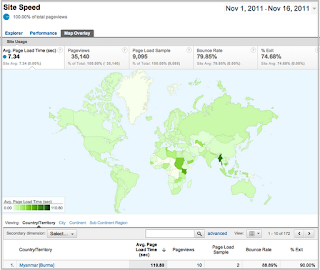 There are three tabs within the Site Speed report for you to review: Explorer, Performance, & Map Overlay. Each provides a slightly different view of your site speed performance. 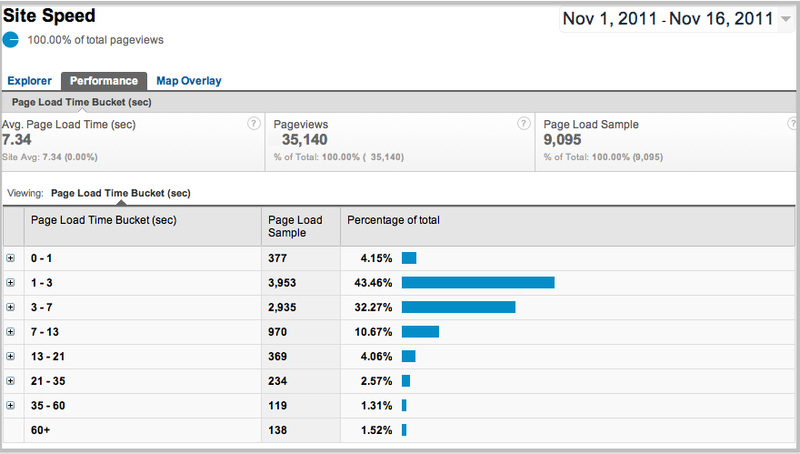 The Explorer tab provides an overview of load time by page. The Performance tab buckets your site speed performance by page load time. 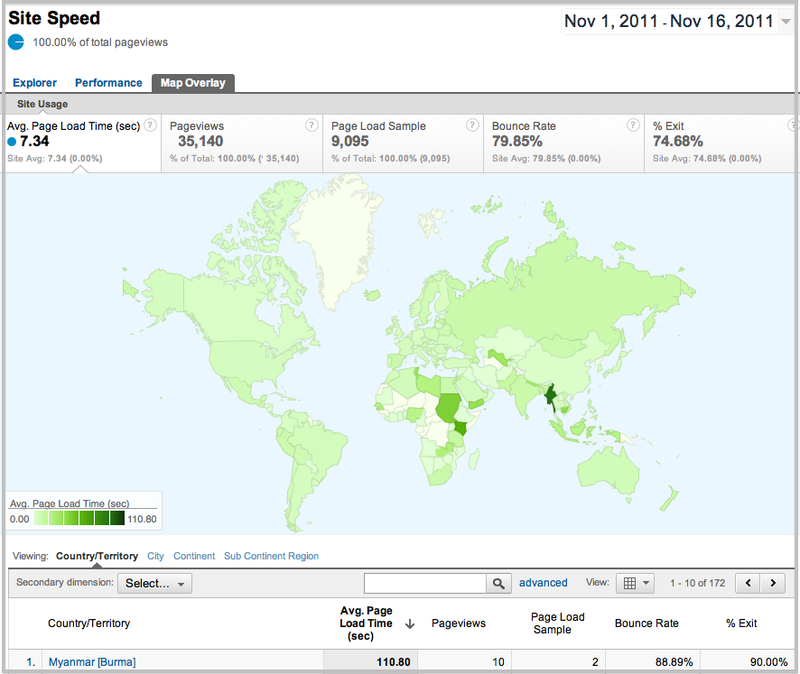 The Map Overlay tab provides a view of your site speed experienced by users in different geographical regions (cities, countries, continents). Below are snapshots of the Performance & Map Overlay tabs. If you have already been using the Site Speed report through the additional tracking script, you can keep using the report as before. Since the tracking code “ _trackPageLoadTime” is no longer required to enable Site Speed report, going forward Google Analytics will simply ignore it. Interested in understanding the details of the Site Speed report sampling rate, tracking of virtual pageviews, and impact of redirects? 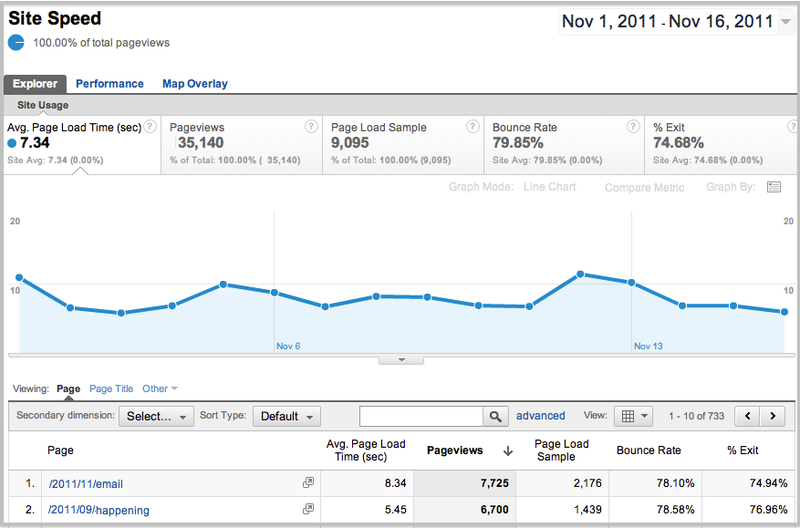 Sample rate - Google Analytics samples your page load times to generate this report. For the more technical minded users you can adjust this sampling rate by adding to your Google Analytics code the function - setSiteSpeedSampleRate. Support for virtual pages - If a virtual path was used in the _trackPageview call, that path will now also be associated with any site speed data collected from that page. Redirection time - Redirects are now counted as part of the "page load time" metric, so it represents the total time a user perceives of your site loading. Current users of the Site Speed report may notice a small increase in page load times as a result of this update. Still have questions? Check out the Google code site and Help Center articles on Site Speed. 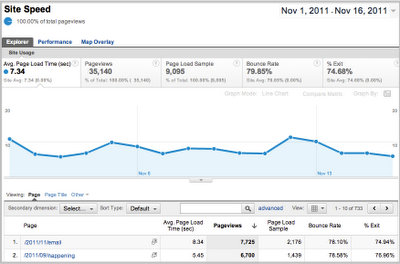 We hope you’ll gain insights from this newly updated report and be able to use it to optimize your pages. Please share with us your thoughts on this report and any suggestions for future updates. Speed matters. Faster loading pages mean more visitors land on your site instead of waiting in frustration or leaving. The Google Analytics Site Speed report will help you learn which of your pages are underperforming, so you can address this potential barrier to your conversions. The Site Speed report was launched a few months ago, but it required site owners to add an additional Google Analytics tracking code to see data in this report. Based on increasing user requests we are now making this feature available to all Google Analytics users and removing the requirement to modify your Google Analytics tracking code. As of today all Google Analytics accounts will automatically have the Site Speed report available with no extra work required from you.